NixOS networking has been the source of weird bugs for years. There is no simple mapping between systemd units and the setup and teardown of network interfaces and its interdependencies. The systemd project is aware of that and implemented systemd-networkd to manage networking configuration. There even is a second implementation of the NixOS networking interface that uses systemd-netword but in its current state has some drawbacks and inconsistencies that prevent using it by default. The question for NixOS is if the adoption of systemd-networkd is desired and if a redesign of the current config interface to support as much features as possible is needed. This talk presents my findings around the topic, some design ideas concerning a possible interface and my personal wishlist of useful and cool networking features that should be supported. 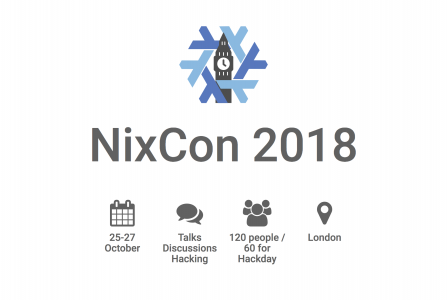 Wir freuen uns sehr, die diesjährige NixCon als Gold-Sponsor unterstützen zu dürfen. Unter nixos.mayflower.consulting haben wir ein neues Angebot für alle Nix(OS)-Interessenten. Von Consulting und Training über die Migration bestehender Systeme bis hin zu Maintenance bieten wir ein umfangreiches Nix-Paket. Darüber hinaus versorgt euch die Crew, die unter anderem aus zwei Release-Managern von NixOS besteht, im Blog mit wertvollem Insider-Wissen und auf Twitter mit allen möglichen wissenswertem rund um Nix.